A true Cellular Revitaliser this Thalgo Reviving Marine Mist has been formulated to reinforce the effectiveness of your skincare cream. 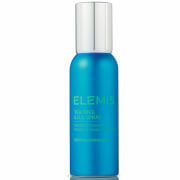 Stimulate the energy and activity of your skin using this sea water concentrate. This skin energising and paraben free Reviving Marine Mist revitalises your skin with red algae extract and grapefruit extract tones. Containing no mineral oils, propylene glycol, GMO or artificial colouring, this Cellular Revitaliser releases a very fine mist to enhance the efficacy of Thalgo skincare creams, offering you the ultimate boost in marine beauty. Spritz over your entire face after cleansing. Gently dry your skin and apply your day cream.